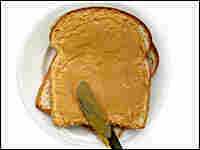 A Better Breakfast Can Boost a Child's Brainpower Don't let your children head back to school without a good breakfast. Many studies show that a morning meal rich in protein and whole grains can improve short-term memory and verbal fluency. Attention, children: Do not skip breakfast -- or your grades could pay a price. Evidence suggests that eating breakfast really does help kids learn. After fasting all night, a developing body (and brain) needs a fresh supply of glucose -- or blood sugar. That's the brain's basic fuel. "Without glucose," explains Terrill Bravender, professor of pediatrics at Duke University, "our brain simply doesn't operate as well. People have difficulty understanding new information, [they have a] problem with visual and spatial understanding, and they don't remember things as well." Dozens of studies from as far back as the 1950s have consistently shown that children who eat breakfast perform better academically than those who don't. In a recent study of 4,000 elementary school students, researchers measured the effects of eating breakfast by administering a battery of attention tests. To measure short-term memory, researchers read a series of digits out loud -- 5, 4, 2 and so on -- and asked the children to repeat them. The children were scored on how many digits they could remember correctly. To test verbal fluency, the kids were asked to name all the animals they could think of in 60 seconds. Across the board, Murphy says, the breakfast eaters performed better than those children who had skipped breakfast. With the preponderance of evidence suggesting that breakfast is key, the next question becomes: Does it matter what kind of breakfast kids eat? Bravender, for example, says he'd never serve his children heavily sweetened cereals. "Any sugared cereal really has a high glycemic index." The glycemic index is a measure of how quickly the carbohydrates in food are absorbed into our bodies and converted to fuel. When it comes to sustained brain power, Bravender explains, food that is low on the scale -- such as whole grains -- are preferable. Even though a bowl of sugary cereal and a bowl of old-fashioned oatmeal may have the same number of carbohydrates, they have very different glycemic loads. Sugary cereals get into your body quickly and cause a peak in blood-sugar levels, but the levels then fall dramatically after two hours or so. Oatmeal, on the other hand, is absorbed slowly, so oatmeal eaters gets a slow rise in blood sugar and enough energy to last through the morning. What's more, oatmeal eaters don't experience a steep drop in blood-sugar levels, and that's a good thing. A dip in blood sugar can bring with it a release of hormones that affect mood. In some children, the hormones seem to affect concentration and memory. Scientists have recently begun to study this phenomenon. Last year, Tufts University psychologist Holly Taylor had one group of children eat sweetened oatmeal for breakfast while another ate Cap'n Crunch cereal. Then both groups were given academic tasks, like memorizing the names of countries on a map. The oatmeal eaters did up to 20 percent better than the Crunch consumers. To Taylor, that shows that "the children were remembering more information about these maps after having eaten oatmeal." And it wasn't as if the oatmeal wasn't sweet. Both cereals had the same sugar content. But Taylor says that the oatmeal had more protein and fiber, and therefore a lower glycemic index. These findings beg more research. But Duke's Terrill Bravender believes there are some basic rules to follow. First, families should make sure kids eat something for breakfast. And if the goal is to find foods with a low glycemic index, then serve fewer processed foods. That will improve the odds that your child's blood sugar will hold steady until lunch. To keep your brain powered up, the first meal of the day should be rich in protein and good carbohydrates — the whole-grain variety that will sustain you for a long spell rather than the sugary kind that will push your blood sugar up, then let it fall. We asked three experts for their breakfast advice. What I ate this morning: Peanut butter and jelly on multigrain bread, ice coffee with low-fat milk. General recommendations: 1-2 slices of whole-grain toast or whole-wheat English muffin or toasted whole-grain waffle topped with peanut butter and a glass of low-fat milk. Whole-grain cereals, hot or cold, with low-fat milk or yogurt and 1-2 tablespoons of slivered nuts on top. If the cereal box label says there are 3 grams of fiber or more a serving, that means there is significant fiber. What to avoid: I never like to demonize any food. But I would recommend limiting or avoiding refined and sugary starches and very fatty foods in the morning — donuts, a corn muffin with extra butter. The lack of fiber, vitamins/minerals and protein in these meals means minimal nutrition, and a meal that likely won't stick with you for very long. What I ate this morning: Today I had nine-grain organic bread with crunchy peanut butter, a red Gala apple, a glass of skim milk and later a cup of coffee. My 10-year-old son made French toast from whole-grain bread with maple syrup for himself and his 6-year-old brother. General recommendations: Whole-wheat toast with peanut butter, a glass of milk and a piece of fresh fruit. A bowl of whole-grain cereal (cold or oatmeal), preferably with nuts, milk, fresh fruit. What to avoid: Any concentrated sweets that are eaten alone. These would include sugared cereals, fruit juice alone or breakfast pastries alone. Breakfast meat is okay if not consumed in excess and if there is a whole-grain carbohydrate source included. General recommendation: Whole-grain cereal like oatmeal or shredded wheat with low-fat milk, topped with fresh or dried fruit and honey. What to avoid: Foods with empty calories like soda and potato chips.